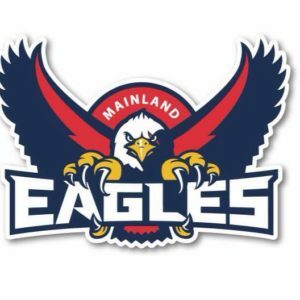 A big past few weeks for Eagles alumni and their teams and a big few weeks ahead. We recap the past games and performances from all athletes while looking ahead to the future. 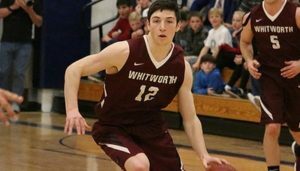 Its been a huge week for Sam Lees and the Whitworth team. First up they played Puget Sound in the Northwest Conference Semi finals. They dispatched them 97-79 earning a spot in the finals. Sam Lees finished with 9 points, 5 rebounds and 3 assists in the win. 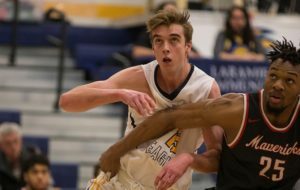 In the final they played rival Whitman College who they had lost against twice before in the season including a 1 point loss in the previous encounter. 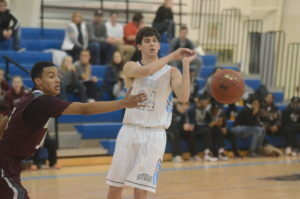 Whitman hadn’t lost a game coming in and are ranked the number 1 team in Division lll basketball. 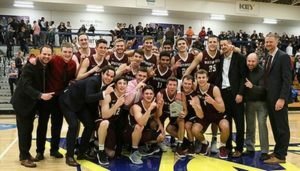 The game was a tough battle throughout but a Kyle Roach buzzer beater lifted Whitworth to the victory and gave them the Northwest Conference title for 2018. Sam put in a great defensive effort while adding 6 points in his 16 minutes. The team now head into the first round of the Division lll tournament which if they get through looks like will lead to another battle against Whitman College, the fourth of the season. 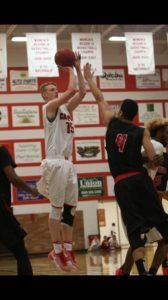 Jackson had a huge finish to the season helping Casper knock of number 19 ranked Gillete College 81-78. Jackson had one of his best games of the season leading his team in scoring with 23 points in the win. The team now have the first round of the regional tournament in 2 weeks. 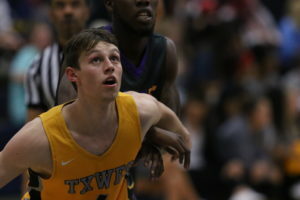 Texas Wesleyan have battled all season with injuries and ineligibility issues but they are finally coming right at the end of the season. 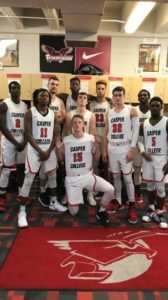 After dropping out of the rankings the team is now ranked 15th and after a tight 74-77 loss to number 12 Oklahoma City its clear they will be pushing as hard as they can to win the their Conference and get a NAIA tournament berth. 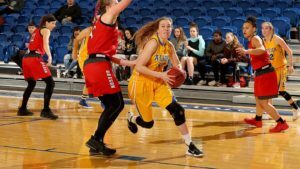 Yesterday in the first round of the Sooner Athletic Conference they beat John Brown University 90-78. Sam had 9 points, 6 rebounds, 5 assists and 3 steals in 32 minutes. The SAC semi final is on Saturday. Cal State Northridge have two big games before the Big West tournament on the 6th of March. Coming into these games they beat Cal Poly and had a tight loss to Hawaii. 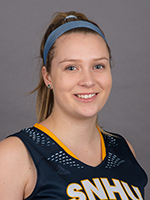 Tessa had 26 points and 9 rebounds against Cal Poly (Including shooting 10-10 from the free throw line) and 14 points and 8 rebounds against Hawaii. Friday the team play UC Irvine night which is Senior Night and will be Tessa’s last home game for the team. 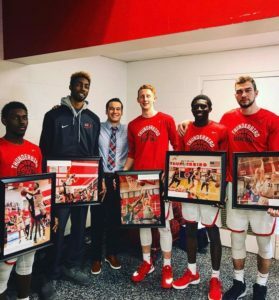 Southeast Community college have built into the tournament well with a 88-71 win over Central Community College – Columbus. Shou had a great game scoring 15 points to go with 14 rebounds. . They now play Central Community College again in the regional tournament starting on Sunday. 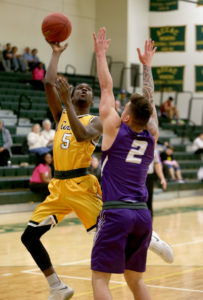 Eastern Arizona have conintued their improved form and have built well going into the ACCAC region tournament. They have recently beaten Tohono O’Odham 96-93 and but lost to Central Arizona 77-90. 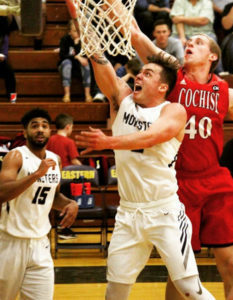 Joe had 11 points, 6 rebounds and 2 assists against Tohono O’Odham and then 8 points and 5 rebounds against Central Arizona. Eckerd College are on a 6 game winning streak going into the Sunshine State Conference tournament. Zoe has averaged an impressive 11 points and 5 rebounds this season. The team play Flordia Tech in the first round on Thursday NZT. 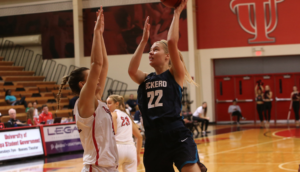 Eckerd have beaten Flordia Tech 74-59 and 65-43 so far this season so will be looking to continue this going forward. 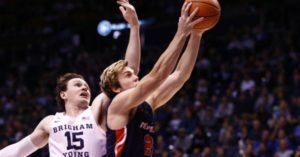 Pepperdine have had a tough season but finished well with a 75-64 win over Portland. Now they head into the WCC tournament trying to cause a few upsets. Up first on Sunday they play Santa Clara who they have lost twice to this season by 7 and 14 points. They will be trying to turn this around to keep the season rolling. 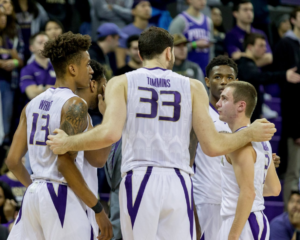 Washington will need a huge push a the PAC-12 tournament to earn a spot in the NCAA tournament. They will also need two big wins to finish before the tournament starts. They play Oregon State and Oregon both teams they haven’t managed to beat so far this season. after that on the 8th March they start the PAc-12 tournament in Las Vegas. Alaska Fairbanks season has come to a end. The team has had a tough season however all but 1 player is coming back and this will lead into an improved season next year. Brittany’s season high’s were 14 points and 9 rebounds and she will be looking to build. Southern New Hampshire’s season seems to have come to an end after a loss to Southern Connecticut in the Northeast 10 quarter finals 64-75. Tessa came in playing 11 minutes scoring 5 points quickly and adding a steal, assist and rebound. First round of the region tournament starts on Saturday. Laramie have had an up and down season but they will be looking for consistency going forward to make a push at the tournament. 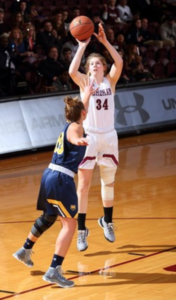 Mary and the Fordham women’s team finished 21-8 and 3rd in the A-10 conference play. They won their first game of the A-10 tournament beating Rhode Island 75-53. Mary had 7 points, 6 rebounds and 4 steals in 29 minutes in the win. The team now play the second round against Saint Josephs who they lost to 50-52 last time they played a week ago. They will need a few more wins to gain a berth in the division 1 NCAA tounrament.